We are the Church of England parish church serving South Oxhey and Carpenders Park, just to the south of Watford in Hertfordshire, in the diocese of St Albans. While the current church building is relatively new, people have been worshipping near the site of All Saints’ Church for over 1200 years. The area was originally occupied by a medieval monastery with a charter issued to the monks by King Ethelred in 1007. The land later became part of the Oxhey Hall Estate, which included the manor house of Oxhey Place built by Sir James Altham near to where the church is now sited. In 1612, Sir James built a family chapel (Oxhey Chapel), probably on the remains of the original monastic church. The manor house of Oxhey Place burnt down in the 1960s but Oxhey Chapel still stands today between All Saints’ Church and the Vicarage. The modern history of our parish began with the building of a new housing estate at Carpenders Park in the 1930s and the post-war council estate of South Oxhey on either side of the mainline railway into London Euston. The area came under St. Matthew’s Church→ as part of Oxhey parish with the daughter church of St. Alphage’s in Carpenders Park serving these new communities. In 1953, the first All Saints’ Church was built in South Oxhey to replace St. Alphage’s and serve the growing number of residents in the area. In 1960, the old Oxhey parish was divided and All Saints’ became a separate parish covering both South Oxhey and Carpenders Park. The original All Saints’ Church and church hall were demolished and the current church building, built on the same site, opened in 2000. 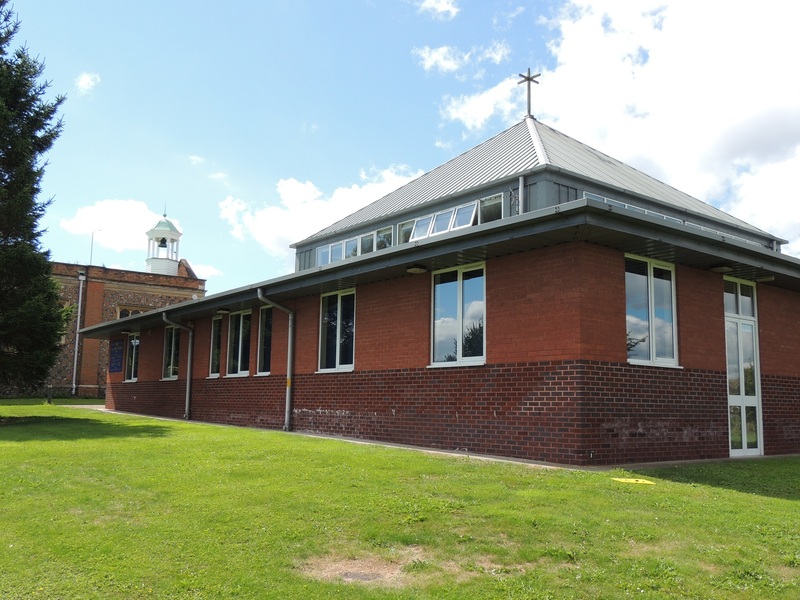 The new church was designed to be flexible and continue the long history of Christian worship on the site as well as being a multi-purpose building to serve the community. In 1996, All Saints’ established ASCEND (All Saints’ Centre for Employment and New Directions) to counteract the problems of unemployment, social deprivation and learning disabilities in the local area. ASCEND is established as an independent registered charity but maintains very close links to All Saints’ Church, including using the church building as its headquarters. Since 2014, All Saints’ Church has close links with the Parish of S:t Olof’s in Norrköping, Sweden. The Parish has three churches, S:t Olai’s, S: Matteus and S:t Hedvig’s. This parish is part of the Church of Sweden and is in the diocese of Linköping which is also linked to our diocese of St Albans.